As part of my regular trawl through the blogging world here on WordPress I keep an eye on NewfoundSander. Sander is a Dutch guy who is lucky enough to be living in (or near) St. John’s, Newfoundland, seems to have endless spare time (luckier still), and (really lucky for the rest of us) takes lots of walks around the area, cameras in hand. Last night I came across his post Visit Newfoundland Online where he announces to all interested parties, such as me, that Google Maps have trundled their amazing Street View camera van around the St. John’s area. His post is set out like a menu of places to visit around the area, and is well worth following up. As I miss “The Rock” so much I couldn’t resist having a quick troll around, courtesy of Google and co, and so after a quick return visit to Cape Spear (the most easterly point in North America), I started roaming down Fort Amherst Road taking in the view of Signal Hill from the other side of the narrows and remembering the way little roads in Newfoundland such as this seem to eat into my soul. 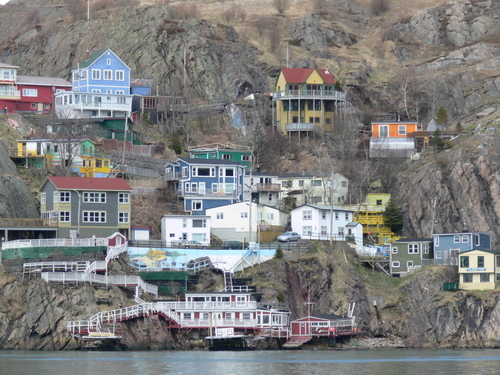 On my visits to St. John’s I had never gone over to the south side, so this was a view of the area that was new to me. I got to about the point where Fort Amherst Road blends into Southside Road and was drawn to the view of The Battery, the road which runs along by the water under Signal Hill. Fascinated by what I was looking at, I then realised that there were other pictures available (courtesy of Google and Co.) and started clicking away. This picture came up…. I have driven up to Signal Hill in the past but, with so many other things to take in, had been unaware of what was below me. What a crazy way to build houses ! It’s as if everybody wants to own the house that’s nearest to the sea, no matter what the difficulties involved. Then today, totally coincidentally, I get an email from a friend in Vietnam with a Powerpoint presentation attached. And guess what ? She out-did The Battery…. 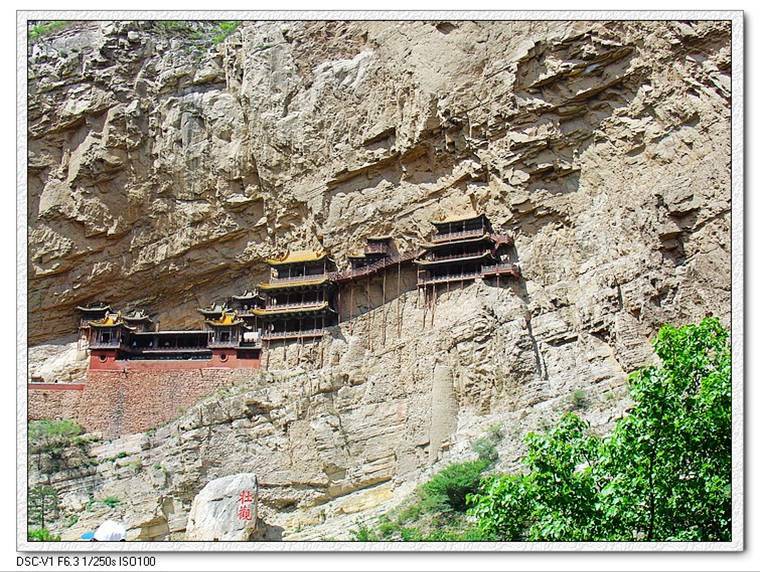 Given my fear of heights and the narrowness of the stairways and boardwalks at the monastery, I don’t think it will on my travel itinerary anywhere in the near future, but what is it with precarious buildings all of a sudden ?